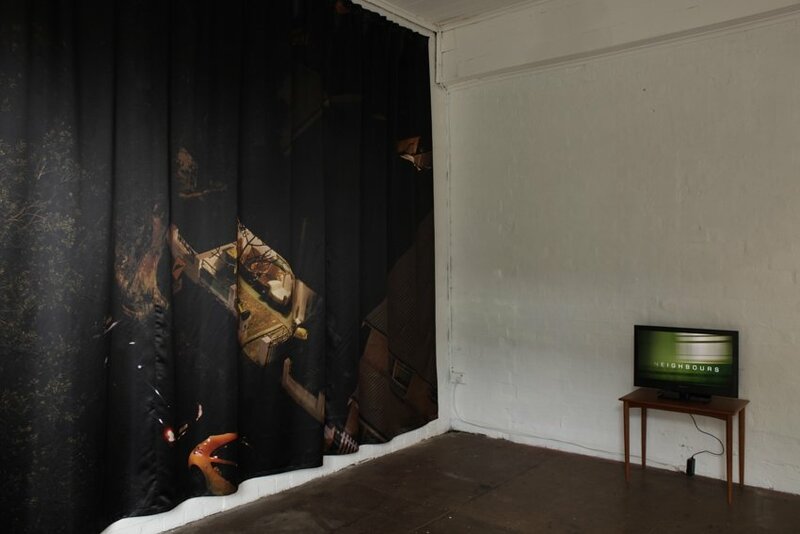 Neighbours describes an interzone between public and private, intimacy and distance, voyeurism and documentation. 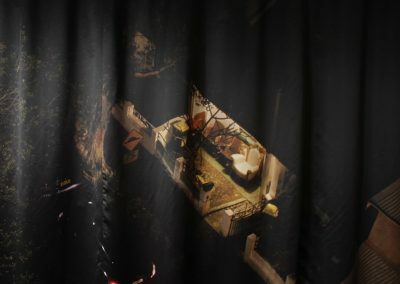 The video was shot in my neighbourhood at night during a heatwave using a bicycle-mounted camera. 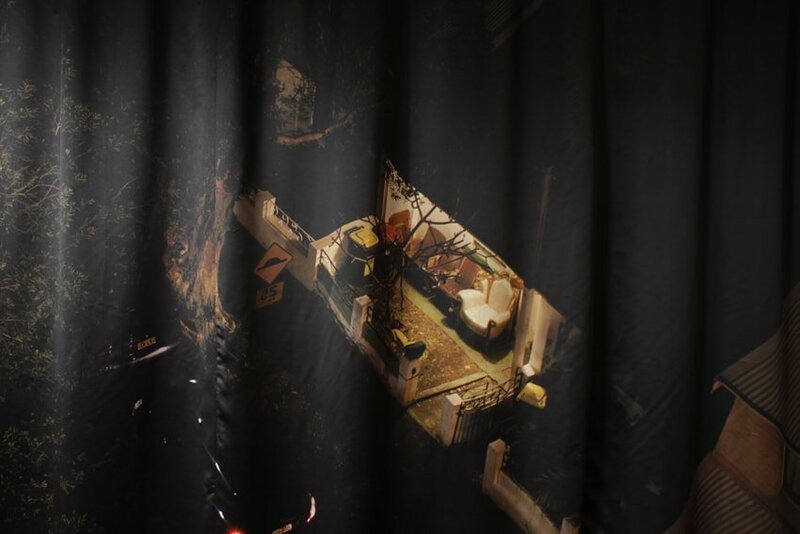 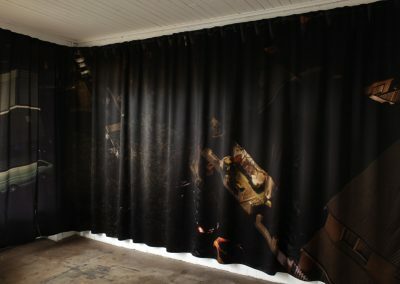 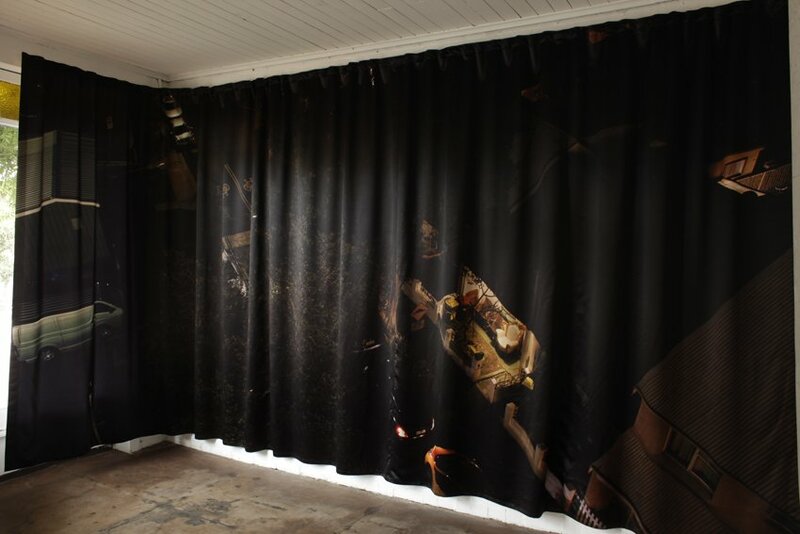 The curtain is printed with an image of the same neighbourhood, this time photographed high up from a security camera’s position. 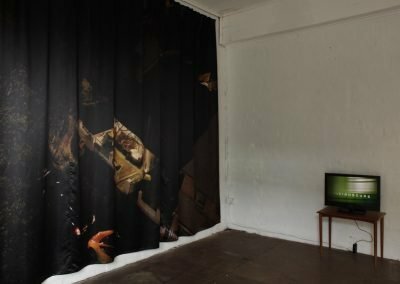 these practices have also contributed to a climate of anxiety about documentary practices like street photography.